Join us at the RFA – Renewable Fuels Association’s annual National Ethanol Conference from Feb. 11–13, 2019 in Orlando. The theme for this 24th NEC is “Powered with Renewed Energy.” The NEC is the most widely attended executive level conference for the ethanol industry. The conference provides an unequaled opportunity to engage key decision makers and industry executives about the latest technologies and government policies affecting the industry today. Speakers will address a number of topics including the impact of small refiner waivers to the Renewable Fuel Standard, growth of higher level ethanol blends, and ethanol exports. 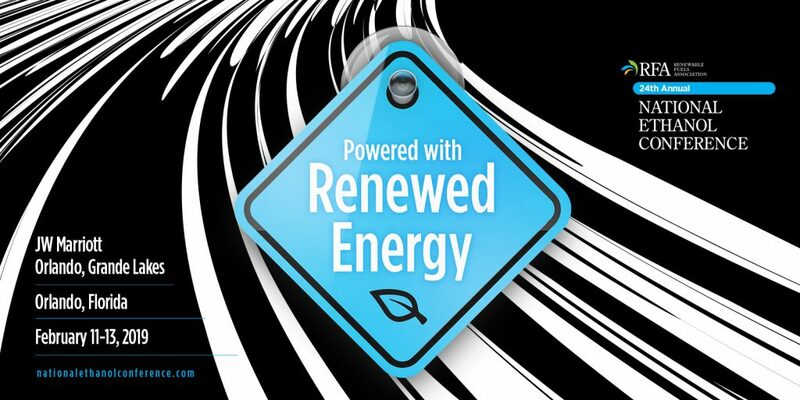 Leaf proudly supports the Renewable Fuels Association (RFA).